In early 2008, Microsoft was busy working on Windows Mobile 7. The OS was an evolutionary step forward from WinMo 6.x, based on the company’s Windows CE 6.0 embedded OS, with bigger changes planned for the next version, Windows Mobile 8. But in the fall of 2008, after seeing Apple’s iPhone 3G fly off store shelves and the iTunes App Store grow exponentially to soon overtake Microsoft’s decade-long lead in mobile apps, Microsoft realized that Windows Mobile was dying. An evolutionary step was not going to be enough to save it, so Microsoft decided to take drastic measures to respond, and today the result is Windows Phone 7 Series. How exactly did this come about, though? Read on to find out. 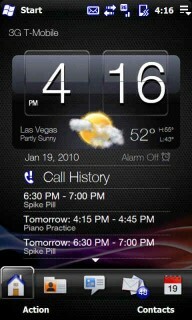 In its earlier form, called Pocket PC, Windows Mobile had been a mobile OS for personal digital assistants (PDAs). 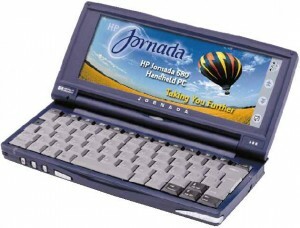 Derived from Handheld PC, which Microsoft released in 1996 as an OS for small sub-notebook computers, Pocket PC was launched in 2000 for high-end PDAs, competing against the likes of Palm. All of Microsoft’s mobile OSes have been built on versions of Windows CE, a compact OS meant for non-x86 chips (mainly the ARM chips found in most smartphones today). By porting over rich desktop functionality to handhelds and offering Exchange integration through Pocket Outlook, Microsoft essentially defeated Palm in the high-end PDA segment (though the whole PDA market had begun to shrink). Soon thereafter, the first Pocket PCs with phone functionality were introduced, and Microsoft created a new OS variant, Pocket PC 2002 Phone Edition, that added features like voice calling, dial-up and cellular internet (GPRS), and SMS text messaging support. 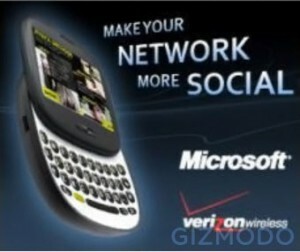 The next version was rebranded as Windows Mobile 2003, or technically “Windows Mobile 2003 for Pocket PC,” to differentiate it from Microsoft’s OS for non-touchscreen “smartphones.” By the release of WinMo 2003 Second Edition, Microsoft had added better SMS and Wifi support, new screen resolutions up to 640×480, and landscape display capability, and bumped up the core OS from Windows CE 3.0 to 4.2. In May 2005, Microsoft released the last major overhaul of Windows Mobile, version 5. Based on WinCE 5.0, the OS sported a new memory model (phones would no longer lose their whole memory when the battery ran out), new device support (like GPS and camera), and updated applications across the OS. Over the next few years, Microsoft seemingly became complacent, entering the same kind of “post victory” mode seen in Internet Explorer team (which had a five-year gap after the IE6 release– IE7 came mainly due to the success of Firefox). For almost two years, Microsoft had no mobile updates and just worked on WinMo 6, which would bump up CE to version 5.2, add new screen resolutions, update built-in apps, and improve stability over WM 5. WM 6 wouldn’t actually be released until February 2007. Rather than being propelled by Apple’s new iPhone to reinvigorate its phone division, Microsoft’s mobile efforts died down after Windows Mobile 6 launched. The company lethargically moved forward, releasing WinMo 6.1 a year later, in April 2008. The “new” release added features like threaded SMS messaging but was overall a very minor update and used the same underlying CE operating system, version 5.2. Then came the bombshell that finally woke up the sleeping giant. In June 2008, Steve Jobs announced the iPhone 3G, powered by Apple’s heavily-upgraded OS 2.0 that sported third-party app support and a centralized App Store. 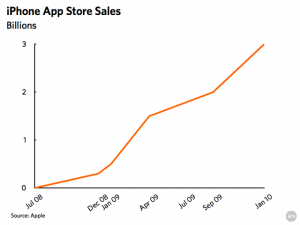 By the fall of 2008, Microsoft realized that the iPhone 3G had become a massive sales hit, and more importantly, the iTunes App Store was growing rapidly. 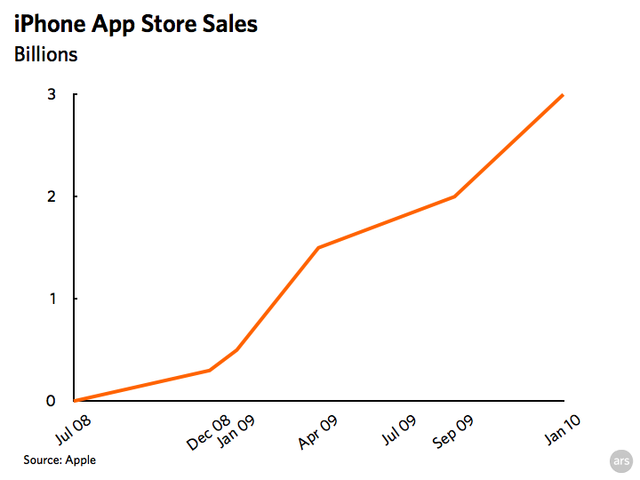 Soon Apple had all but erased Microsoft’s decade-long head start in the mobile field, with tens of thousands of applications available for customers to buy with just one tap. Microsoft realized that the Windows Mobile group simply wasn’t getting anywhere. Leaked documents from the time show that despite being far behind schedule, Windows Mobile 7 was at best going to be an evolutionary step. 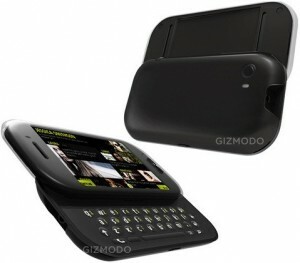 More sweeping changes were left for the next version, Windows Mobile 8. But evolutionary updates weren’t going to be enough– Windows Mobile was dying for a whole assortment of reasons, from Microsoft partners’ lackluster hardware to excessive complexity, poor usability for average consumers, little application use despite lots of available apps, an aging set of APIs and developer tools, and above all, absolutely no “mindshare”– the average Windows Mobile user didn’t even know what OS their phone was running. 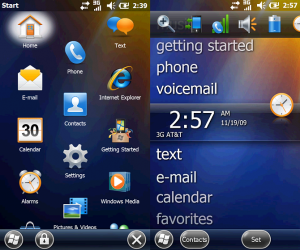 Phone makers like HTC, Samsung, LG, and others had created their own touch-friendly interfaces on top of Windows Mobile, which helped them compete better in the market but made Microsoft’s problem even worse– now even fewer consumers knew of Windows Mobile. Clearly, Windows Mobile 7 wasn’t going to cut it. 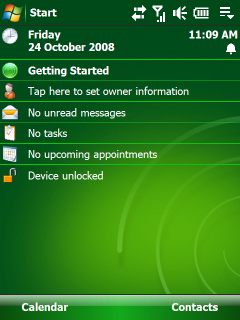 In the fall of 2008, Microsoft took a long, hard look at its mobile efforts and decided a complete reboot of the platform was necessary. It brought over people from all around the company to form a new team that would rapidly develop an entirely different OS, unencumbered by any need to maintain backwards compatibility with Windows Mobile. They were still using Windows CE at the core, but besides that, it was a clean slate. This is when people like Joe Belfiore joined Microsoft’s mobile team and started work on what is now Windows Phone 7 Series. This was Microsoft’s top priority. 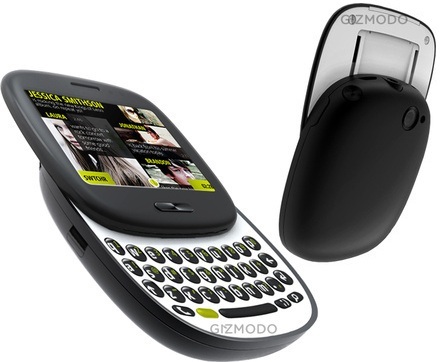 Windows Mobile was powerful in theory, allowing power users to do everything from remotely managing servers to playing emulated game consoles on their phones, but to the average user, WinMo was simply way too complex. It had been designed for business users, but in the world of simple, appliance-style devices like the iPhone, not only did consumers run to the iPhone, but even many business users jumped ship. Clearly, simplicity would be key to Windows Phone 7. Microsoft licensed its OS to phone manufacturers but exerted little control over what devices they put it on, so the result was often sub-par hardware that caused users to blame the OS for slow performance. Companies like HTC, Samsung, and LG had come up with their own user interfaces that ran on top of (and in some cases nearly replaced) Windows Mobile’s. The result was an inconsistent and often confusing experience for users. Apple has released three major mobile OS versions so far, and every iPhone ever sold can be updated easily through iPhone, free of charge or complication. Manufacturers and mobile carriers were responsible for shipping ROM updates for Windows Mobile, so most phones would never get upgraded to new WM releases. Microsoft did have a Windows Update app in some phones, but it was essentially never used. Windows Mobile was a desktop-style OS in an increasingly online services-dominated mobile world. 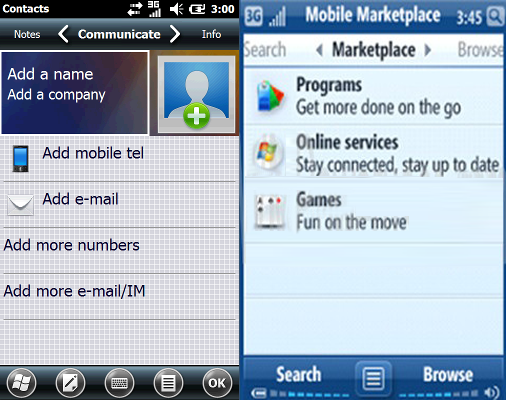 Microsoft had released MyPhone and the Windows Marketplace for Mobile and developed a Facebook client for Windows Mobile, but the overall experience was far from unified, and Microsoft still offered no tie-in with its Zune or Xbox Live services, not to mention its assortment of Windows Live sites. Many of Windows Phone 7 Series’ limitations derive from design decisions to simplify at all costs, but others are a result of the team’s singular focus on shipping the product with its core functionality and then worrying about extra features for later releases. This is a very Apple-like way of thinking– something that can be said about much of Microsoft’s vertically-integrated approach with Windows Phone 7 Series. So What’s Windows Mobile 6.5 / 6.5.3 / 6.5.5? Windows Mobile 6.5 is the end of the line for the classic WM operating system, but Microsoft still has a small team working on updating its UI. 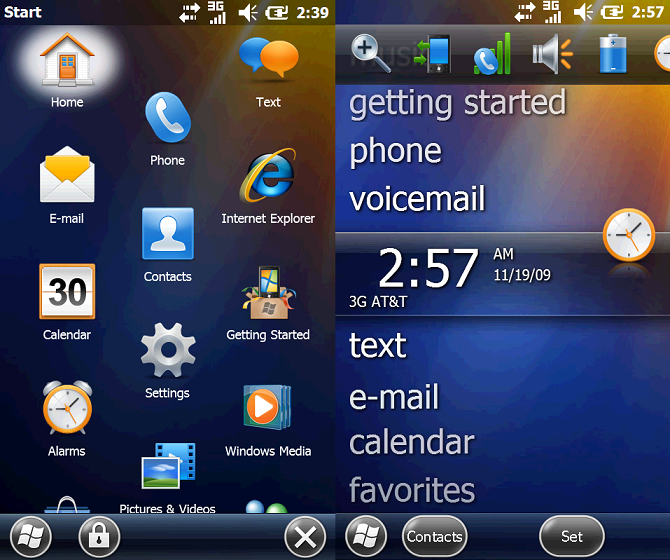 Recently, the company officially released Windows Mobile 6.5.3, a revision that shrinks the task bar at the top to enlarge the bottom buttons, now resembling the leaked Windows Mobile 7 screenshots even more closely, and builds of WM 6.5.5 are floating around the XDA-Developers forum, with yet more small tweaks. Microsoft still sees a market opening among people who want phones that are connected to social networks but aren’t as expensive, fully-featured, or complicated as smartphones. Basically it’s the Sidekick user base (mostly under age 25). When Microsoft first bought Danger, the PMX team was rumored to be working on some aspect of Windows Mobile 7 itself. Then it became clear that it was in fact a separate project that entailed not just software but also Microsoft-branded (and Sharp-manufactured) hardware. When Microsoft decided to reboot WM7 into Windows Phone 7, the initial idea was to build Pink on top of WP7, but that would cause too much of a delay, so while Pink is instead built on the same underlying platform – Windows CE 6.0 – as WP7, it’s otherwise a different OS. Two Pink Project devices have been discovered through FCC filings and various links. The phones — a vertical slider called Turtle, with 320×240 screen resolution, and a horizontal slider called Pure, with 480×320 res — run on CDMA and are almost sure to be Verizon exclusives. We’ve also heard that the phones are likely to use Nvidia’s Tegra processor, like the Zune HD (see our Mobile Processor Guide for more info). 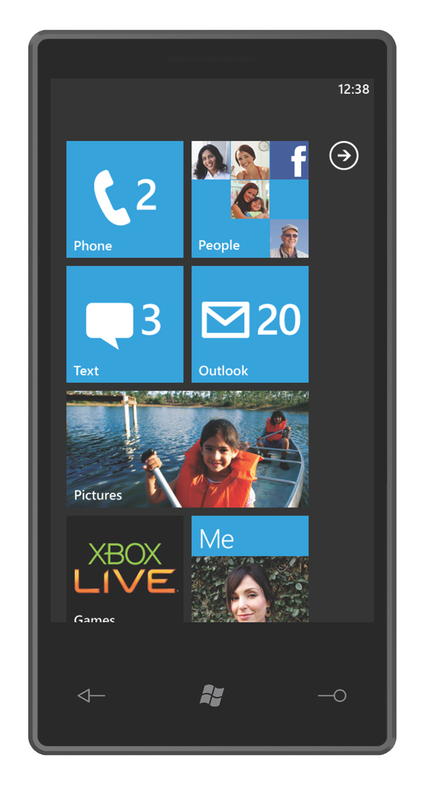 The UI is likely to be based on Silverlight, just like WP7, but how about third-party apps? The phones don’t match WP7’s hardware requirements, and Microsoft hasn’t mentioned them at all to developers, so our assumption is that they’ll either have locked-down app availability (like the Zune HD) or will rely on web apps. Much still remains unknown about Project Pink– stay tuned for more updates at TechAutos. A bit over a year ago, Microsoft made a very unusual decision to abandon one of its OS lines. Never before had the company orphaned one of its OSes– for example, the consumer line of Windows, Win9x, survived for many years (perhaps too many) before it was gracefully merged into the NT line. Here, though, the company felt a complete reboot was necessary. Rather than focusing on delivering a broadly capable, fully-functional platform, it focused on delivering something that met most of its users needs in a tight time-to-market deadline. That’s much more like Apple — which launched the first iPhone without any third-party app support, copy-and-paste, etc. but later added in the features — than Microsoft. 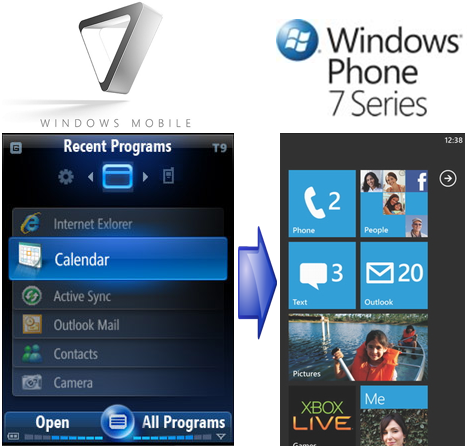 The vertically integrated model seen in Windows Phone 7 is also a first– the only other platforms Microsoft has done this kind of integration in are Zune and Xbox, neither of which are branded “Windows.” Some feel that WP7 is misnamed because of this. In any case, Microsoft is clearly taking a risk here with a scorched-earth policy towards its current mobile OS, and it should be very interesting to watch how it does in the market against the iPhone, Android, and others.